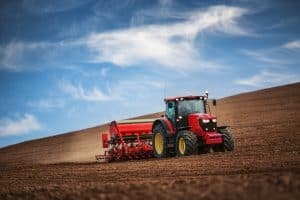 More Hobby Farming Leads to More Farming Injuries | Larson Law Firm P.C. Farming in any capacity is one of the more dangerous occupations in the US; every day over 100 workers suffer serious injuries. Hobby farmers who lack practical experience, or may be less accustomed to physical labor, are even more prone to accidents and injuries, often as the result of the defective machinery or exposure to hazardous chemicals. Beyond the injuries incurred by farmers, hobby or otherwise, farming can and does regularly lead to fatalities. The CDC has determined that the most dangerous piece of equipment for a farmer is often the one he or she employs most: the humble tractor. Over a 4 year study period, 36% of fatalities among agricultural workers were caused by tractors, most notably overturns and rollovers, but also including vehicular collisions and people becoming trapped in the equipment. Hobby farmers often use older equipment, which is more likely to lack modern safety protections, resulting in injury or death. Proper use of respiratory protection and good ventilation can mitigate some of the risks; however, older, smaller farms might not have been built to modern specifications. Bioaerosol exposure in the form of grain dust can lead to cardiovascular disease or respiratory issues. The risks from other farming machinery cannot be understated. Beyond tractors, items such as harvesters, pickers, hoes, sprayers, drills, or conveyor belts all have mechanical parts which can fail, resulting in grave injuries. Machinery that has been modified beyond its original specifications is also dangerous, as is any machinery on which the safety labels have worn off due to age. In these cases, even the most conscientious hobby farmer can make unintentional errors, leading to harmful outcomes. The best way to reduce the number of farm-related accidents and injuries for hobby farmers is linking them up with social supports: contemporaries who have the experience to guide them through the learning process. There is simply no substitute for hands-on learning when it comes to animal husbandry and agricultural production, no matter the scale. Another vital element for the new farmer is making sure all equipment is safe. One common issue leading to farming accidents is lack of, or improper, maintenance of quality equipment. Just like a kid who forgets to put oil in his or her first car and seizes the engine, these new, less experienced farmers need guidance and mentorship to learn the basics, and ultimately the ability to be self-sustaining farmers, hobby or otherwise. No matter how experienced in farming you may be, accidents still happen; that is why they are called “accidents.” But sometimes accidents happen because of negligence on someone else’s part, or because of a mechanical defect. If you or someone you love has been involved in a farming accident, contact a knowledgeable North Dakota farm accident attorney at Larson Law Firm, P.C. We can help. To set up a free consultation in our Minot office today, contact us or call 701-484-HURT.